Rather dated, and many of the botanical names have been changed since it was written, but contains a wealth of information about plants of southern Africa. It can be downloaded or viewed online. 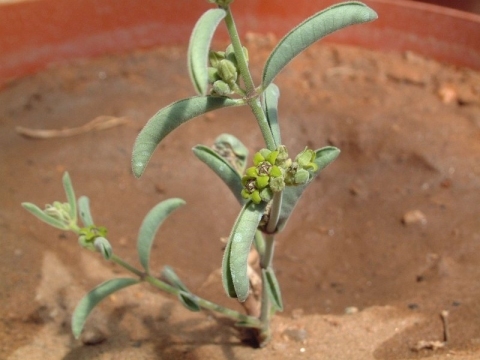 This plant is highly valued by traditional peoples as a source of drinkable liquid in very dry and harsh environments - the root being dug up and squeezed to release its liquid load. Southern Africa - Namibia, Botswana, S. Africa. ]. No uses are recorded for this latex.